Hello! In today's post, I'd like to show you another V-Day nails. 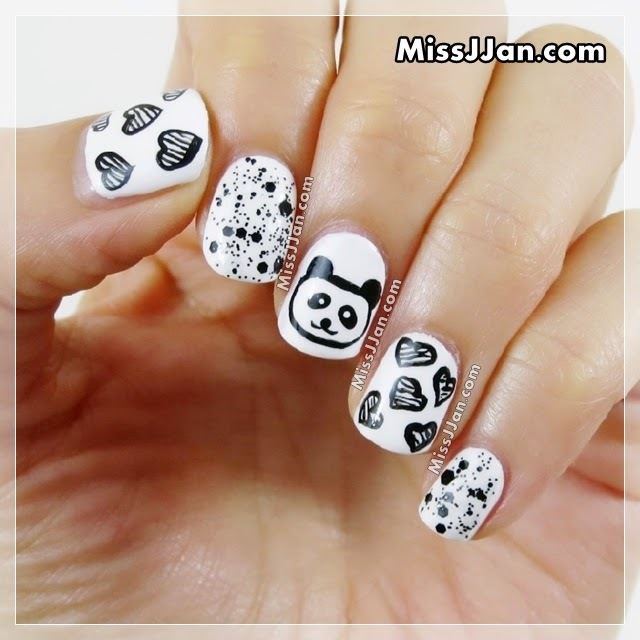 I wanted to do something other than pink and red...and I like panda...so here it is...a Valentine's Day Panda Nails!! Hope you like it! ♥ Follow me on Twitter, Instagram, Pinterest and Google+.